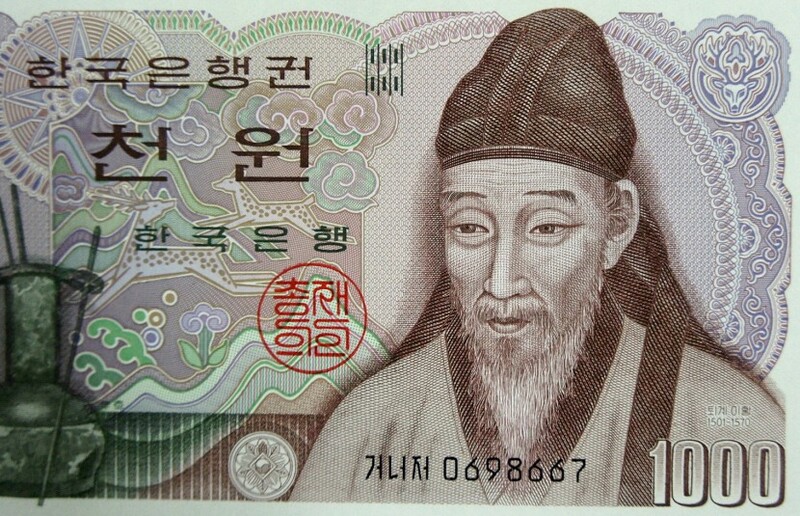 The 1983 South Korean 1000 Won banknote features Yi Hwang ( 1501-1570) one of the two most famous Confucian scholars. On the back of the note is the Confucian academy of Dosan Seowan. The South Korean Won has been legal currency in South Korea since 1945. The split of North and South Korea after Japanese Colonial rule ended the Korean Yen currency creating a North and South Korean Won. Replaced in 2007 by a newer note, the 1983 South Korean 1000 Won is a great historical reminder of Confucianism and Korean culture! Rare in mint condition and not many in circulation any more. A great banknote for any collection. Banknotes are more than just money. More than paper and ink, a country’s currency tells a story of the culture and history of a country. In our current era of digital money actual printing of banknotes is becoming obsolete. Increasingly rare banknotes not only provide collectible memories but also can be considered small investments.